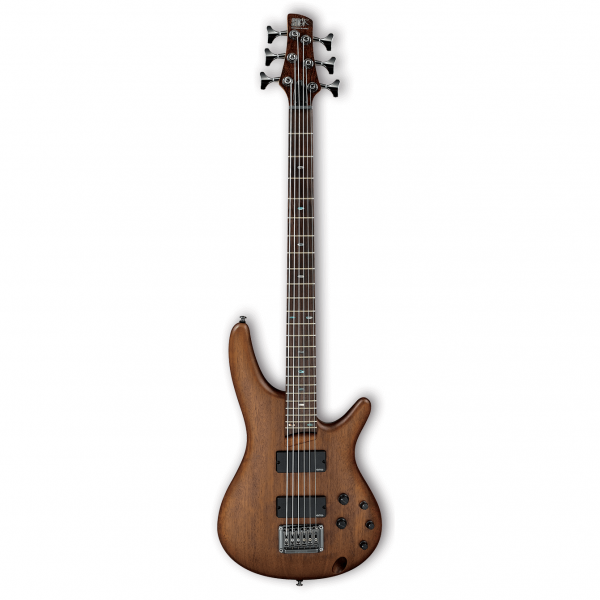 The Ibanez SRC6 is one of those rare mid-level 6-string bass models offering a set of solid hardware, great-sounding pickups, and flexible electronics, all for an incredible value. Between its great-feeling 5-piece jabota and bubinga neck, EMG 35HZ pickups, 3-band EQ, and Tight End bridge. The rosewood fingerboard offers a strong, tight sound and an attractive appearance with a long grain pattern and abalone oval inlays. EMG's 35HZ bass humbuckers use their ceramic and steel design to provide smooth attack, level highs, and low end that's as warm as it is focused. What's more, the SRC6 features Ibanez's EQB-IIID 3-band EQ, which features offset midrange boost and cut frequencies to offer you an incredible range of tone.